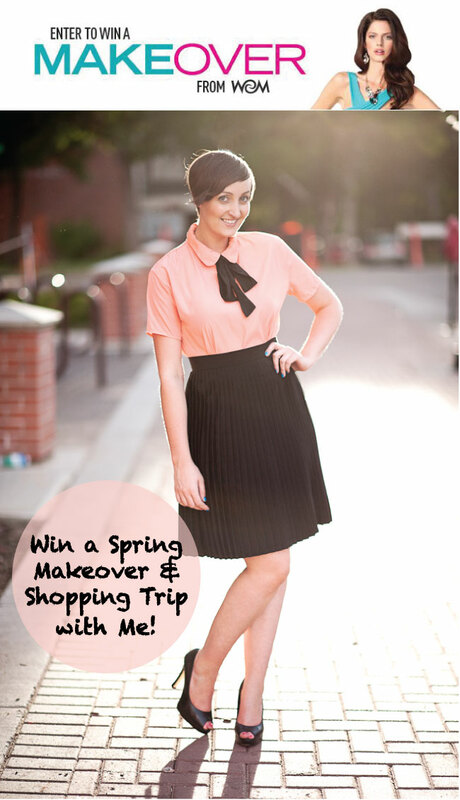 Enter the West Edmonton Mall Spring Makeover Contest! Spring cleaning isn't just for the home. We could all use some light dusting of the mind, body and wardrobe too! It's time to get out of your winter style rut, and start the new season off right. In fact how about a $4,000 head-to-toe Spring Makeover from West Edmonton Mall to get you started? Sound good? I thought so. Enter yourself or a friend in the West Edmonton Mall Spring Makeover Contest for the chance to win a new hairstyle, makeup application and a fabulous new outfit and style consultation with one of three talented Edmonton wardrobe stylists including me! As a wardrobe stylist I have worked with a variety of commercial and personal clients to help them achieve their style goals, and I can't wait to work with one of you! We'll go shopping for a new spring outfit, and we'll also discuss style tips to keep you turning heads and feeling your best after your makeover experience is over. The winners of the West Edmonton Mall Spring Makeover Contest will also have a moment in the spotlight, appearing live on Breakfast Television on Friday, May 4 to unveil their beautiful new looks! This is a fantastic opportunity for people with a sense of fashion to upgrade their spring collection. Free shopping worth $4000 sounds so enticing and it would not surprising to hear that serious contestants have already started cleaning their wardrobes. Love everything about this outfit..love the pastel color and you look amazing with this dress! Cool, beautiful dress and shoes. You look wonderfully. They are just as beautiful as the first! customer service is great and I recommend this site to anyone who wants to buy authentic sunglasses at a great price. You will be really pleased with your products & service. It's really difficult to find good polarized shades at regular stores. You guys have a great variety of them, for really great prices. I'll be sure to pass your site on to my friends. Keep up the great work.